As the “Brick Capital of the USA” and the direct center of North Carolina, Sanford is a busy place with a small town feel. Much like the residents of Sanford, the attorneys at Lennon, Camak & Bertics maintain busy schedules, but always take the time to get to know you. Lennon, Camak & Bertics is proud to serve the residents of Sanford with quality and highly personalized legal representation in the areas of workers’ compensation and social security disability. Our highly skilled attorneys have more than 60 years of combined experience, and cultivate superior knowledge in their areas of expertise. At Lennon, Camak & Bertics, we maintain a concentrated focus by only handling cases in workers’ compensation and social security disability. By doing so, we are able to excel in these areas and provide the highest quality service to each and every one of our clients. When you choose to work with Lennon, Camak & Bertics you can rest assured that you will receive personalized service, fit to meet the needs of your specific case. It is our priority to help you reap the benefits that you deserve. We take the time to get to know you, in order to provide you with customized solutions while simultaneously handling your case in a timely and efficient manner. Are you in need of workers’ compensation or social security disability representation in Sanford? Don’t wait any longer to receive the rights you deserve. 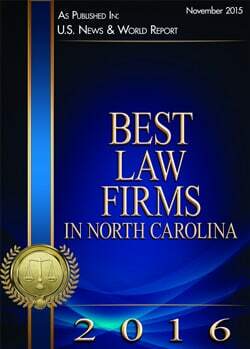 Call on the highly skilled and experienced attorneys at Lennon, Camak & Bertics today to learn more about what we can do for you!